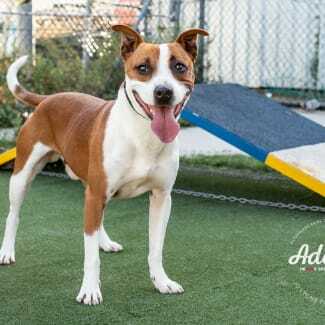 Sutherland Shire Council Animal Shelter is a low kill animal shelter that houses stray dogs, cats, rabbits, guinea pigs, chickens, roosters and goats that are found in the Sutherland Shire Council and City of Sydney local government areas. 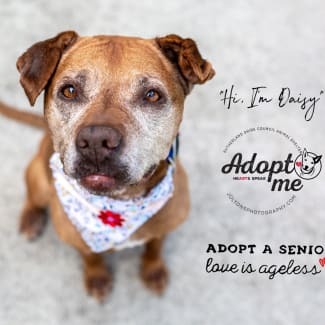 We re-home all animals that are not reclaimed by their owners after the required holding time period, unless they are suffering due to an illness that can not be treated or are a danger to humans or animals. We work with reputable rescue groups when necessary to help all animals who come into our shelter to ensure they are given the care that they need. The animals looking for new homes are housed at our animal shelter until they find their new home, with no time limit ever placed on their stay with us. We have a highly dedicated, passionate and caring team of staff and volunteers who love and care for the animals during their time with at the shelter, no matter how long or short. 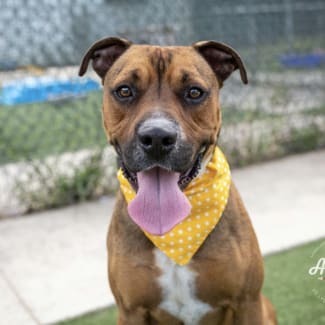 Apollo is a bundle of energy wrapped in sweet, slobbery love. He is an excitable dog who is keen for any adventure or challenge he is introduced to. 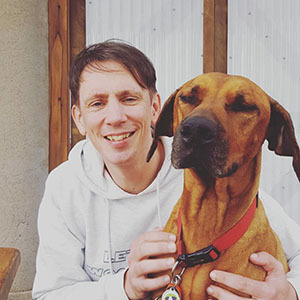 Apollo is a strong dog who would require an owner capable of handling and restraining him, though this can be managed through appropriate training. He is friendly towards other dogs and is sometimes a little too friendly, which results in him unknowingly intimidating the other dog. It is therefore important that he is provided with plenty of healthy socialisation opportunities with other dogs, animals, and people. Apollo’s picture says it all; he is a stunning young boy with a huge smile and a readiness to find his family. For more information please contact the animal shelter on 9710 0401. 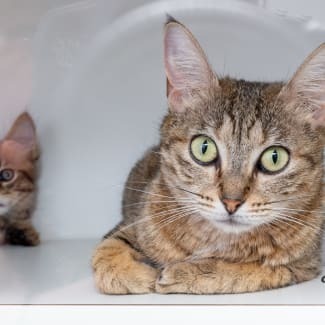 Little Goose is a gorgeous young girl; the kind of cat that shines with potential but just needs to be given the chance. 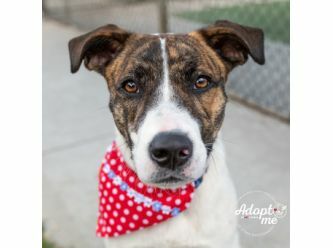 Due to her unfortunate past lost on the streets, Goose is shy and will take time to bond and build trust. She would benefit greatly from being adopted into a calm home where she will be kept indoors and given the time to explore her new home. 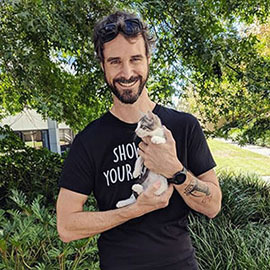 Goose is a beautiful kitten who loves to hint at her sweet personality as she becomes more comfortable and confident with each day in a safe and loving environment. For more information please contact the shelter on 9710 0401. Pippin is a gorgeous girl with stunningly young eyes and an old soul. She is sweet and loving but she knows she doesn’t belong in a shelter, and she’s feeling a little out of place. Pippin would suit a family who can allow her to have some independence while also having lots of love, cuddles, and attention on offer for when she wants it. 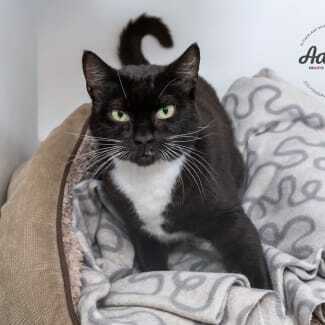 She would prefer a quiet and calm indoor lifestyle with a big fluffy bed and toys galore to keep her entertained, especially a big scratching post to let loose some of her energy! If you think Pippin might be the one for you then please come for a visit, we’re sure she’ll melt you with her quiet purring and innocent eyes!